The 2012 WNBA draft was no different from previous years in which unknown players to Americans are selected. However it is not often anybody from the second division in France is selected. 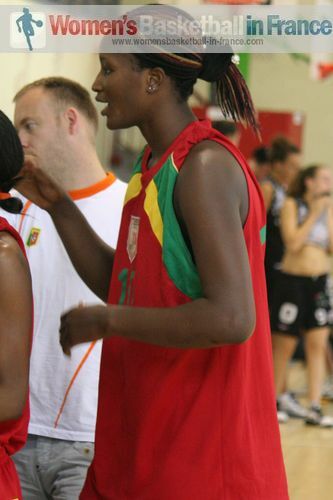 The last player from the French league to be drafted was Sandrine Gruda in 2007. Gruda was the 13th pick in 2007 and made her début in the WNBA with Connecticut in 2008. Astan Dabo is not a household name outside France and Mali. However it was rumoured that she was in the run to be drafted weeks before the event. Unlike the other European players included in the WNBA draft this year (Farhiya Abdi and Nika Baric), Dabo is not involved in EuroLeague Women basketball. She is also not playing her club basketball in the elite division. At 2:03m /6’8″ (6-foot-8-inch) and a wing span of 2:23m (7’4″), the 19-year old is the tallest player currently playing in the Ligue Féminine. She was first spotted by José Ruiz who was the coach of the Mali national team in 2008. He then tried to bring 16-year old Dabo to France and join him at Strasbourg ABC for the 2008-2009 season. Due to rules in France in 2008, she was not granted a visa and never played a match for the club. While still trying to play in France she represented Mali at U16 and U18 level and in 2009 played at the U19 World Championship for Women. Her paperwork was finally resolved in 2010 and she joined the junior programme at Reims BF. In her first full season 2010-2011 at Reims, she was taken under the wings of former Czech Republic international Zuzana Klimešová while playing for the first team. Dabo missed the start of the LF2 season due to her participation at the FIBA World Championship. She picked up an injury at the World Championships and did not play her first game for the first team until round 16. In total she played in 12 regular season games averaging 6.3 points while averaging 17 minutes per game. Reims went all the way to the LF2 Final Four and finished runners-up. This season (2011-2012) she is playing around 27 minutes per match while averaging 11.4 points, 12.7 rebounds and 3 blocks at the time of writing this article. 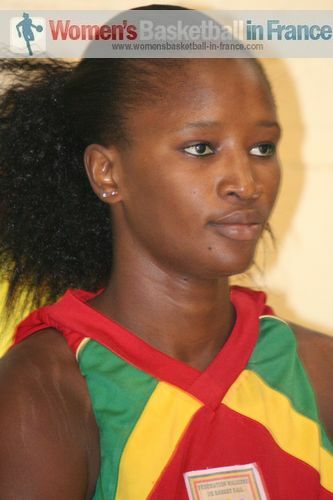 Due to the fact that Dabo is likely to play for Mali during the Olympic Games qualifying Tournament later this year, it is very unlikely that she will be able to attend WNBA training camps this summer. For the second consecutive WNBA draft an ineligible player was drafted into the WNBA: last year it was Latvian international Elina Babkina, this time around it was French international Isabelle Yacoubou-Dehoui. The pick for ineligible is void and the players concerned can enter the WNBA as free agents.